Ableton dj. Quneo good for launching clips? Or should i go for launchpad mini? Thread: Ableton dj. Quneo good for launching clips? Or should i go for launchpad mini? Hey guys, if there are some tried & tested ableton dj's here i'd like your opinion. I mainly want to start/stop clips, and make a stepsequencer. The Quneo looks good, and offers all sorts of user control. (And i must restrain from buying.) Of course all these added control options are nice, but my main use will be just clips and simple step sequencing. In your opinion, should i go for the Quneo, or a launchpad (mini)? ANY Launchpad. No doubt about it. Thanks. 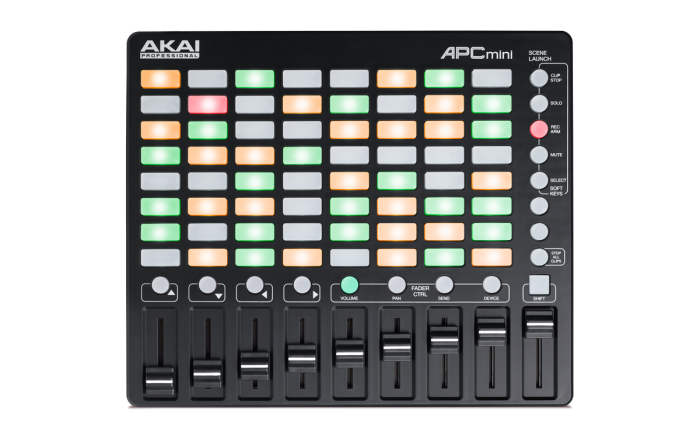 And looking at say the APC MINI, would you still prefer the Launchpad? Can you explain a bit why you favor it? Try a launchpad before you buy one. I have one and don't like the way the buttons feel. Its a really good controller for the money though and I still use it. If i can find a way to get my Twister to do everything my launchpad does i'm selling it though. We have a launchpad emulation that works very well, and the QuNeo is indestructible. It does all of the same stuff and much more. If you actually use it, the novation stuff will inevitably break.